On Thursday we posted a report (“Recycling Revisited”) from Judith Durant on the new rules of recycling as presented by Gunther Wellenstein, the city’s Solid Waste/Recycling Coordinator at Monday’s Highlands Neighborhood Association meeting. At that meeting, Judith obtained a “Massachusetts Universal Recycling List” handout but was unable to find that information on the city’s website. 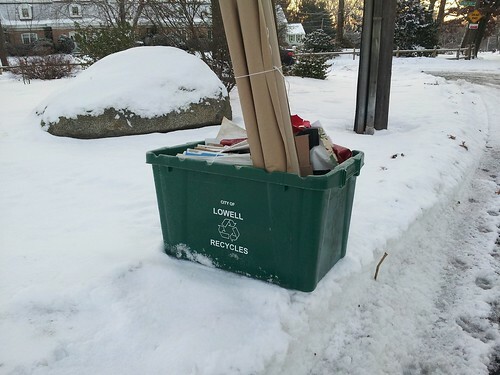 For more information on recycling in Massachusetts, check out the Recycle Smart website. And WBUR’s On Point radio show recently featured a segment on recycling. Recycling is a huge issue for many Lowell residents but the rules seem to be constantly changing due to various global forces. We’ll seek to write about this subject more often since it has obvious interest in the community. Warning – Failure to respond to this mailing for 2 consecutive years shall result in removal from the active voting list and may result in removal from the voter registration rolls. (Mass General Laws chapter 51, section 4). The form itself comes preprinted with your name, address, gender, date of birth, occupation, whether you are a veteran, and the political party in which you are registered. Also listed is anyone else living in the household. You are supposed to make any corrections on the form and add anyone else living in the home. There are spaces to indicate if the person has moved (“M”) or is deceased (“D”). Also, if you are not a U.S. citizen, you are supposed to list your nationality. And if you have lived in your current address for less than a year, you are supposed to list your prior address. Finally, you sign and date the form and mail it back to City Hall in the enclosed envelope (with postage you affix). Don’t delay in returning this form. And if you didn’t receive it, get in touch with the Election Office at City Hall. If you neglect to return the completed form, you’re likely to end up as an inactive voter which is a pain when you next show up to vote. Even worse, you could be removed from the voter roll entirely. As for the deadline on the envelope, RETURN BY MARCH 17, 2019, city officials are instructing residents to disregard that date. The forms are typically due ten days from receipt but the city has often listed a date certain as a deadline to aid residents in calculating when the form is due back to city hall. 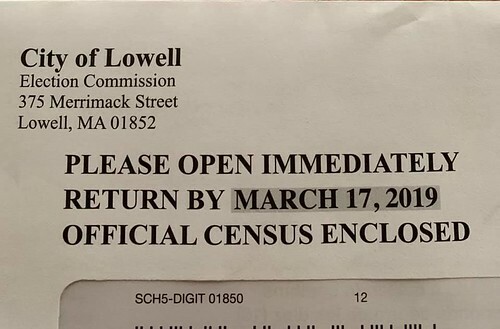 The Lowell forms were supposed to have been sent out approximately two weeks ago, but the printer used to produce the forms had difficulty printing the trilingual form which is printed in English, Spanish and Khmer. That caused a delay in mailing which made the March 17 deadline obsolete. So don’t worry about the stated March 17, 2019; just get the forms back as soon as practical, at the latest by the start of June. 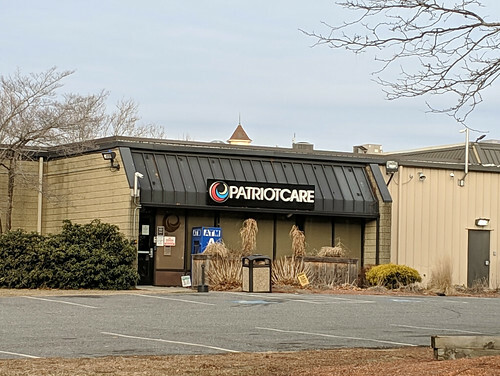 Patriot Care’s adult use retail marijuana dispensary opened for business for the first time yesterday at 11am. The small number of parking spaces onsite will still be reserved for medical marijuana customers. Retail customers must park in one of two satellite parking lots and then take a shuttle bus to the facility. One of the lots is nearby and happens to be the parking lot for the Courtyard by Marriott hotel. The other lot is a bit farther away: it’s the VFW post at 190 Plain Street. The identity of these satellite lots – in a functioning mainstream hotel and at the local Veterans of Foreign Wars chapter – are strong evidence of (1) the broad acceptance of legal marijuana sales in our community and (2) the amount of money that is to be made from it. You might have imagined those two entities, the Courtyard and the VFW, as leading the charge against drug sales, not facilitating them. The only issue seems to be traffic and any concerns about the actual usage of marijuana either left unsaid or nonexistent. I had to be out of town yesterday and was approaching Lowell on Route 495 at about 5:30pm. Although I feared getting stuck in a traffic jam, I decided to exit the Lowell Connector at the Industrial Ave exit. To my surprise, I rolled all the way down the exit ramp to the stop sign without encountering another car. Whatever the volume of traffic was earlier in the day, there was none at 5:30pm. According to a story in today’s Lowell Sun, there was a bit of a crowd when the facility first opened, but the pace of business was slow through the rest of the day. Patriot has some Frequently Asked Questions on its webpage which contain some basic information about who can purchase marijuana (adults 21 and over) and how much can be purchased (up to 1 ounce of flower or 5 grams of concentrate per transaction per day). Aaron Hernandez – On Wednesday, the Massachusetts Supreme Judicial Court issued its decision in Commonwealth v. Hernandez the case of the former Patriot’s tight end who was convicted of first degree murder but who committed suicide in prison before his appeal was heard. After Hernandez’s death, his lawyer filed a motion under the long-standing common law doctrine of abatement ab initio which means that when a defendant dies before his appeal is heard, the entire case is dismissed and is treated as if it never happened (“ab initio” means “from the beginning”). This doctrine was never created by a statute enacted by the state legislature. Instead, it arose from our “common law” which is law that has developed over a long period of time based on prior court rulings. There are some practical consequences of this decision. The family of the murder victim is suing Hernandez’s estate for damages. Hernandez having been found guilty of murder in the criminal case could be used by the plaintiffs in that civil lawsuit to prove the Hernandez caused the death. Without a guilty finding, however, it would make the plaintiff’s burden of proof much more difficult. There is even some suggestion in the court’s decision that Hernandez was aware of this and his desire to preserve his estate for his young daughter (as opposed to losing it to his victim’s family) may have influenced his decision to end his life before the appeal was final. Paul Manafort. Moments after the President’s former campaign chair was sentenced to seven years in prison by a U.S. District Court judge sitting in Washington, D.C., the Manhattan District Attorney, a New York state official, announced the indictment of Manafort by a New York grand jury on multiple counts of residential mortgage fraud. Since some of the behavior complained of in the New York charges was the same behavior for which he had just been sentenced in Washington, you might ask why these new charges are not barred on the grounds of double jeopardy. Among other things, the Fifth Amendment to the United States Constitution prohibits putting someone in jeopardy of criminal conviction for the same offense twice. From the founding of our country, however, courts in the United States have followed the “separate sovereigns” doctrine which holds that separate governmental entities each have an important and separate interest in punishing criminal behavior, even if it is based on the same conduct. 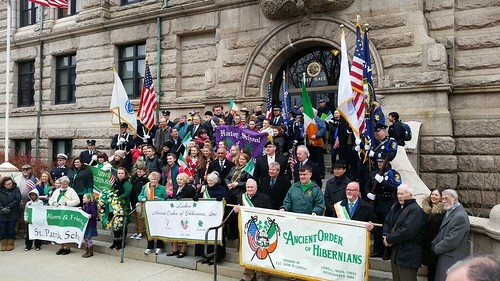 For example, someone who robbed a federally insured bank in Lowell could be prosecuted by the Middlesex District Attorney’s office for robbery in violation of Massachusetts law and also by the U.S. Attorney in Boston for violation of a federal bank robbery statute. Based on established law, Manafort could not successfully prevent his New York prosecution based on double jeopardy. 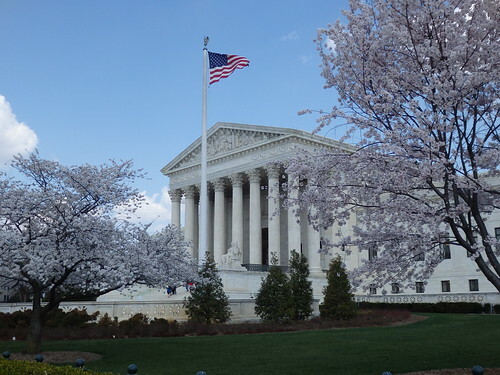 But coincidentally, the U.S. Supreme Court this past December heard arguments in a case that seeks to overturn the separate sovereigns doctrine. In Gamble v. U.S., a case originating in Alabama, the defendant was stopped for a traffic violation and was found to be in possession of a gun which, because he had a prior felony conviction, violated both Federal and Alabama laws that prohibited a felon to be in possession of a gun. Both jurisdictions prosecuted Gamble. The Supreme Court should issue its decision in this case later this spring. If the court over turns the doctrine, it might benefit Manafort. But it is also a situation that arises fairly often, so its reach would extend beyond that one high profile case. Gun Maker Liability – On Thursday, the Connecticut Supreme Court issued an important decision about the 2012 Newtown, Connecticut school shooting in which 20 children and 6 staff members were killed by a 20 year old man wielding a variant of the military’s M-16 rifle that was marketed and sold to civilians. In 2005, Congress passed the Protection of Lawful Commerce in Arms Act which provided American gun manufacturers with considerable immunity from civil lawsuits brought by or on behalf of people injured by guns manufactured by the companies. This law has shielded gun manufacturers from most lawsuits, however, there are some very narrow causes of action that are allowed. The plaintiffs’ theory was not that the gun manufacturer was somehow negligent or reckless because that would be banned by the immunity granted to gun makers by Congress. Instead, plaintiffs alleged that the advertising violated Connecticut’s consumer protection law by suggesting that the gun being sold could be used in conduct that would amount to a crime and that such advertising was unfair and deceptive. From the plaintiffs’ perspective, just surviving a motion to dismiss at the trial court level is perhaps as important as ultimately recovering a monetary judgment after trial. Just going through the trial process would allow the plaintiffs to conduct “discovery” (take depositions and demand documents) that would uncover much about the gun industry’s political and marketing strategy which might in turn lead to further litigation. This is what happened to the tobacco industry when litigation uncovered memos which proved that the tobacco companies not only knew of the harmful effects of cigarettes, but actively worked to keep that information from the American people so smokers would continue buying cigarettes. When overdoses began climbing, the company adopted a strategy of blaming the addicts to divert attention from the addictiveness of its product. The company made major contributions to Tufts and Mass General in an attempt to make doctors-in-training more likely to prescribe opioids. The case recently survived a motion to dismiss by Purdue. The litigation continues. September 4, 1830 – The Proprietors of the Locks and Canals on Merrimack River in consideration of $1 grant to Right Reverend Benedict Fenwick, Bishop of Boston, a parcel of land in Lowell near a new canal called the Western Canal on the express condition that the parcel be used for public religious worship and for schools.” /s/ Kirk Boott, Treasurer. Middlesex North Registry of Deeds (Lowell) Book 9, Page 191. August 23, 1832 – William Hilliard and Francis Hilliard in consideration of $1,687 grant to George H. Brown a parcel of land in Lowell on the easterly side of Fenwick Street on the express condition that Brown shall neither convey nor lease the land to any Irishman or Irishwoman. Middlesex North (Lowell) Book 14, Page 340. May 5, 1880 – Susan Butters and Eleana Butters in consideration of $3,000 grant to Abel Asherton a parcel of land in Lowell on the easterly side of Fairmount Street under the express condition that the land shall never be deeded to any person born in Ireland. Middlesex North Book 145, Page 155.